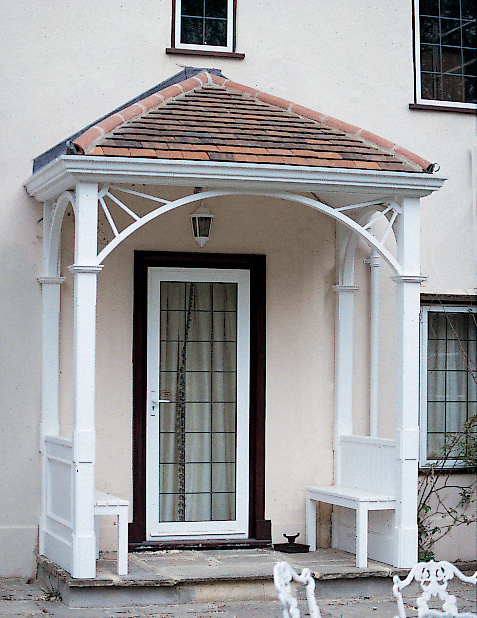 Verandahs and porches are always attached to an elevation of a house and generally have solid roofs, made from either a natural material or glass. 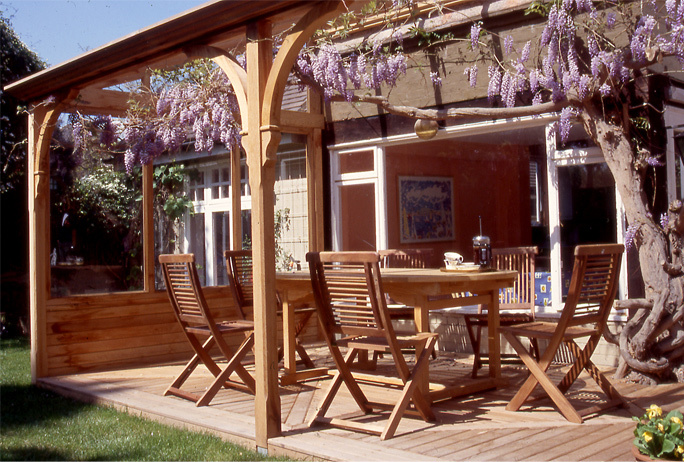 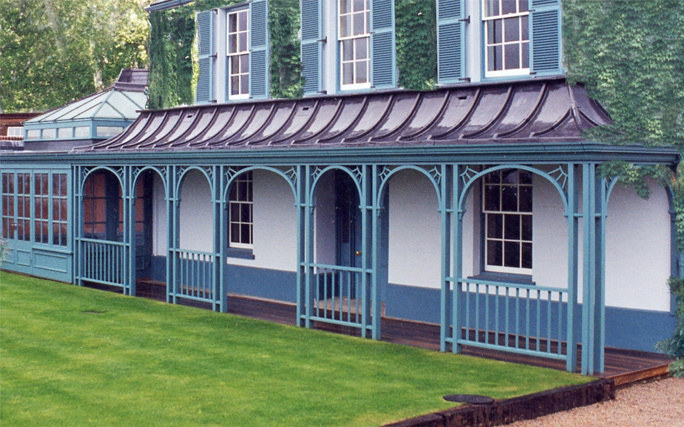 Whereas a porch is essentially an open vestibule, the verandah is an all year round outdoor room. 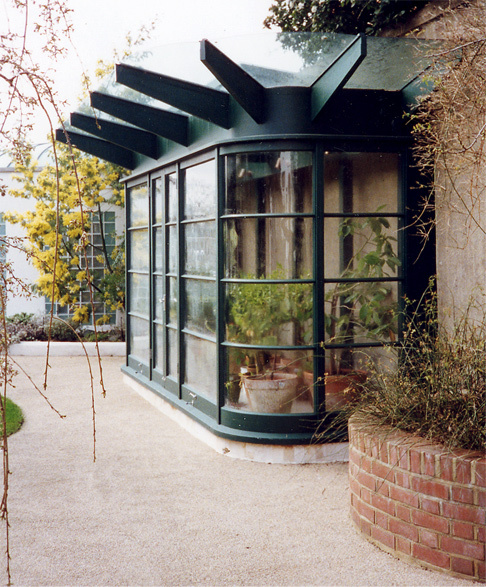 A simpler version of a modern conservatory, the solid roof gives protection from sudden showers or provides shade on a hot summer's day. 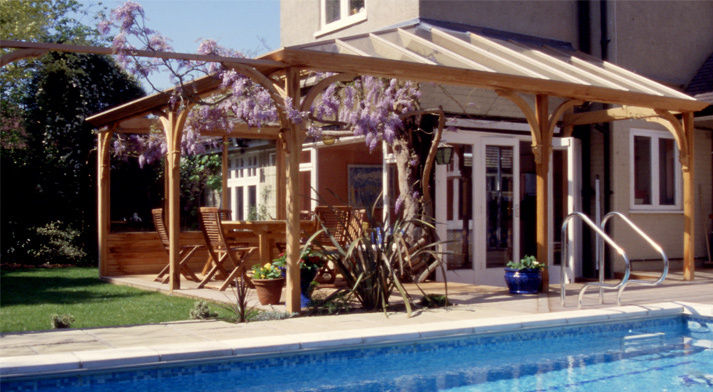 The term 'garden room' can mean many different things and summarizes three very distinct product types designed and manufactured by Lloyd Christie Garden Architecture. 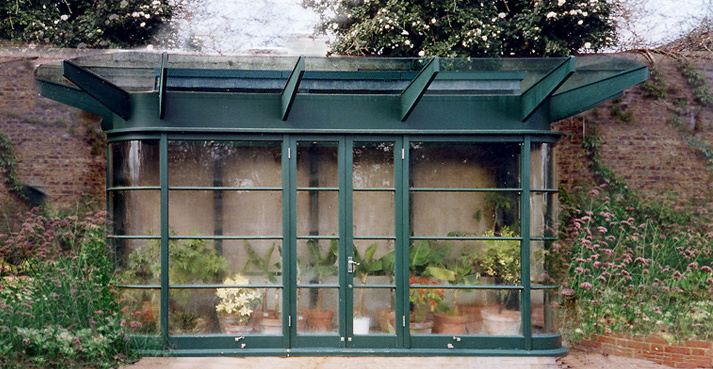 Historically, a garden room was essentially a conservatory or greenhouse with very simple heating, a place to keep tropical plants in the winter. 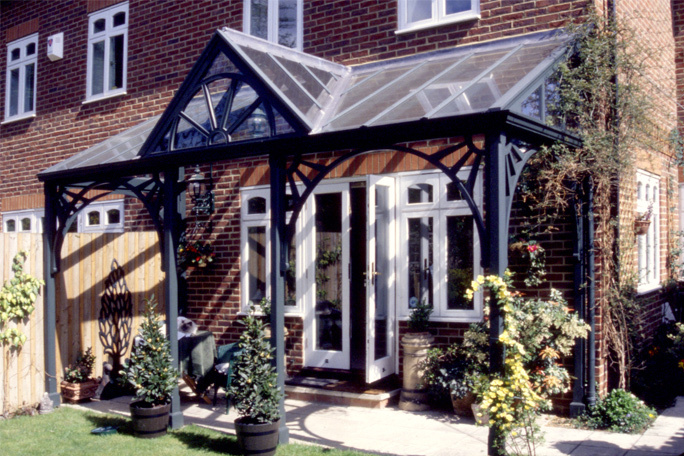 Today, the term covers anything from a glazed extension, modern conservatory and home office to a traditional cold conservatory for keeping tropical plants. 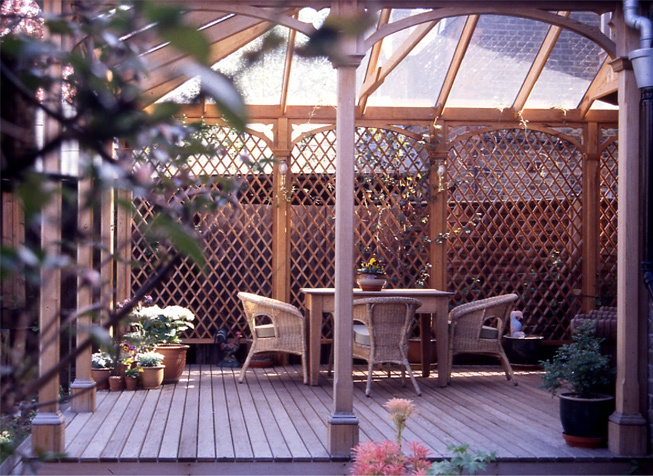 Most commonly it is used in the context of home offices. 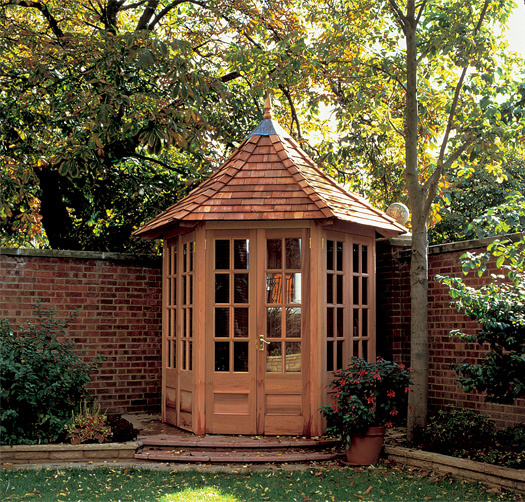 These are usually free standing rooms built in the garden, either as a focal point or tucked away. 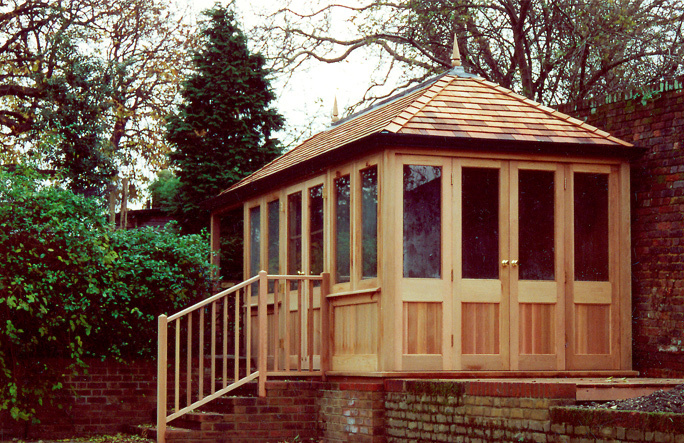 The build quality of a garden room is high, with good insulation, heating, electricity and sometimes bathroom facilities. 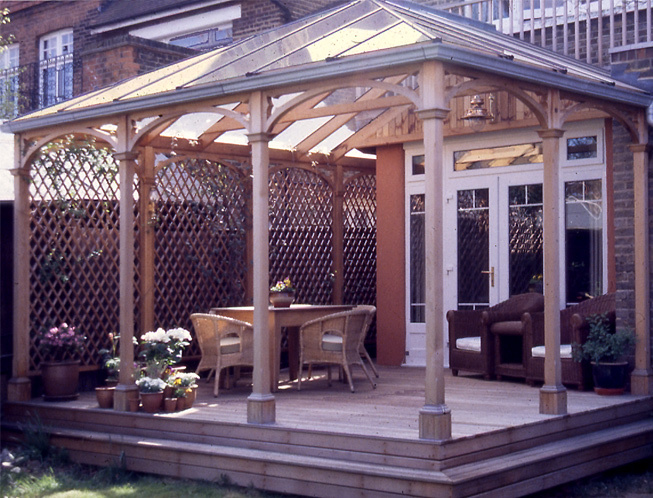 At times such structures are also used as guest rooms or playrooms.